On Sunday 16th June, as world leaders gathered for the G8 summit, more than 40 of us held a vigil on Peel Beach, facing them in Northern Ireland. Under the leadership of Andrea Jeavons, a team with rakes formed the letters: Enough Food for Everyone IF on the sand. 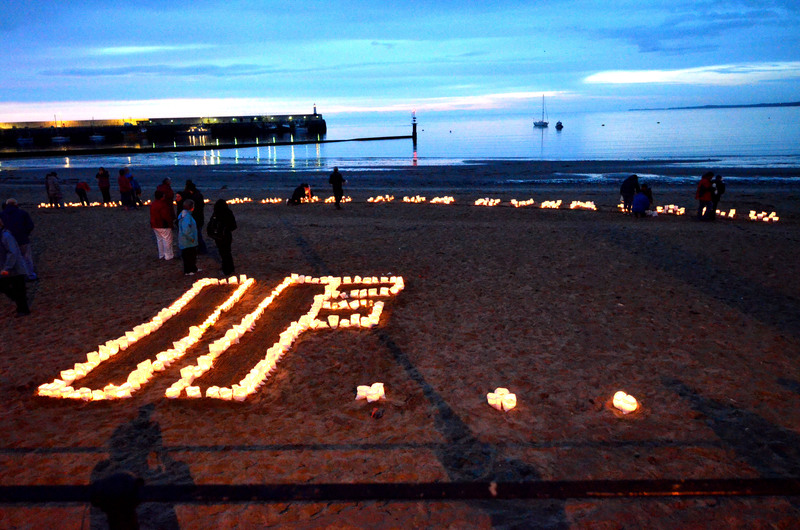 Then, using jam jars, plastic bottles and paper bags as holders, hundreds of tea lights were lit and place on the letters. People worked in groups or as individuals to create the community art work. To conclude the evening we stood round in a circle, reading quotes and extracts about hunger and then sang When I needed a neighbour were you there?, We shall overcome, and Amazing Grace. Thanks to all who helped make the event work.